Recently, on Live with Steve Lobel Chicago rapper Twista talked about his upcoming album, his relationship with Kanye West, other Chicago rappers and the term Chi-Raq. Twista revealed he is working on a new EP album with Do or Die. "We're a melting pot, Chicago or the Midwest, a lot of the music is driven by the south and what I hear coming from Atlanta or the whole South by [south west] which is dope, real dope," he says during the clip. "You got artists like Chief Keef or Lil Durk taking the vibe of Chicago and putting it on their shoulders. You still have so many vibes." The fast rapping lyricist also said he and Kanye are still cool but they just don't see each other as much. 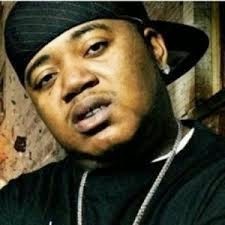 "We just haven't talked in a long time," Twista says. "Even though we don't reach out to each other all the time, I'm pretty much in my zone. He's in his zone. If we ever reached out, there's no problem or anything like that. We just haven't been around each other in a nice while. "As far as him coming up, doing his thing, you already seen it," Twista adds. "That's something I always seen, his ambition and where he saw his self and what he planned to do, he always had that vision. It was fun to see something that was just a vision come to life. It was fun to sit and watch it all manifest." Twista and Kanye worked on a few tracks together including "Celebrity Overnight", "Slow Jamz" and "Alright".